Al Abdul Karim is a synonym name to the foundation and development of garment business in the region. Our Chairman and Founder Sheikh Mohammed Al-Abdul Karim established the vision of our industry. In 1957 Al-Abdul Karim Exhibition was established as a garment store in the old town Riyadh Al Thumeree Street as one of the first garment stores in the region. The shop gained popularity as a distributer of leading European brand names and became a destination store across the Kingdom. The journey that Sheikh Mohammed Al-Abdul Karim began years back transformed into a long term relation with major European fashion houses and leading traders. Few years later, the wholesale distribution has started to serve other garment shops within Saudi Arabia. 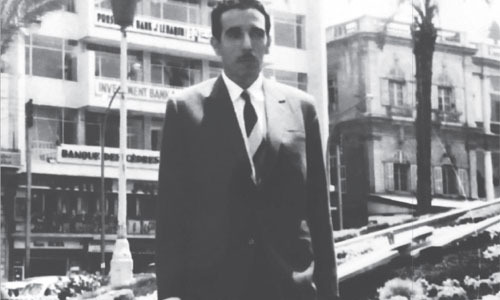 During the early 70's and later, the sons of Sheikh Mohammed Al-Abdul Karim joined the company and contributed to foster the business with larger distribution and wider store network. M.A. AL ABDUL KARIM & CO. is one of the leading retail companies in the Middle East offering the reputed brands from across the world with finest product & customer service. The business is carried forward based on highest retail standards supported by well-established organization structure and management infrastructure. The system is designed to serve each brand specific needs and market segment. Generally, the structure serves the vast array of retail operation supported by centralized functional activities. M. A. Al Abdul Karim For Real Estate Investment The company's investment arm is actively looking for new opportunity in private equity fund, venture capital and property development. To name such M. A. Al Abdul Karim For Real Estate Investment is active on office, shopping malls, towers, business parks, residential compounds and equity share holders in diversified corporation.